France has made a submission to the International Maritime Organization (IMO) urging for a swift global speed limit for shipping in a bid to slash the industry’s emissions. Under president Emmanuel Macron, the architect of the 2016 Paris Agreement on climate change, France has become one of the most aggressive advocates of society moving quicker to decarbonise. France believes that in order to meet climate goals set out in the Paris Agreement shipping needs to act faster than goals set out by IMO to get decarbonisation regulations moving by 2023. Reducing speed for most ship sectors would work as an “excellent transitionary and early measure”, it stated in its submission, albeit admitting it would be merely a temporary measure. The French submission concedes that for certain ship types the measure would not work. These ship types included passenger ships and vessels carrying time sensitive cargo that would be forced to go on greater polluting forms of transport if a speed ban came in. France has not specified by how much ships should slow, seeking discussion with IMO member states on the matter. As a second step, France is proposing a global goal-based approach to be susbsituted for the presciptive speed regulations, something to cover the entire global merchant fleet and a regulation that would reward innovation. This longer term ambition sees France call for a 40% cut in emissions by 2030 and 70% by 2050, greater than the agreed 50% deal hammered out last year. France is calling for shipowners to annually peak their greenhouse gas emissions. Commenting on the speed limit idea, Michael van Roozendaal, president of ship equipment manufacturer, said he felt it was a good move. 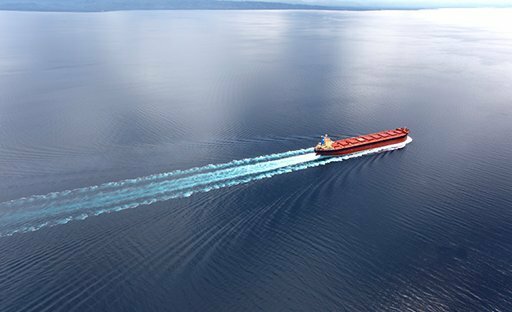 “Your fuel consumption goes up disproportionatly with speed,” van Roozendaal told Splash, saying it would be easiest to implement with bulk carriers. He questioned however how easy it would be to police the speed limit. With slower speeds, Macron’s move could also dig shipping out of its malaise. Moving slower will require more ships in the supply chain and likely force up rates. How about 80 kph, to fall in line with his recent reduction on road speed limits? To sail the seas is something absolutely diferent than driving by roads. Roads are still; not the seas. While there is a certain amount of logic in this argument I am not sure how practical it would be to implement and enforce. In theory it makes sense but I feel in practice it will fall short.